We have been breeding and showing pedigreed dogs since the 1970s. The first breeds Bev bred and showed were English Springer Spaniels and Curly Coated Retrievers; while Bruce was initially associated with Dalmatians. 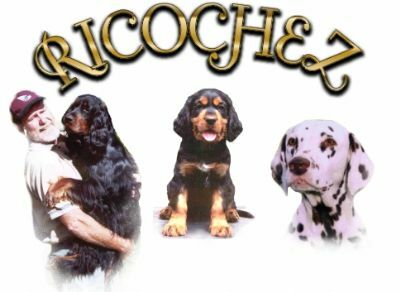 Since then we have also bred and shown Salukis, English Setters, Large Munsterlanders, Gordon Setters and Pointers; including Aust Grand Champion Kqrac Commandor Biggles (Gordon Setter -- winning 14 Best in Shows!) and Ch Lamaan Khamse Asl (Saluki) Best in Show Brisbane Royal 1985. However, in 2005 we welcomed Welsh Springer Spaniels into our 'family'. Their affection, loyality and exuberant personality has struck an harmonious chord with ourselves and our lifestyle. This site is devoted to sharing some of the highlights of our past companions and also showcasing the personalities, characteristics and achievements of our newer family members.